Mr Shekhar Chakravarty, a highly qualified and vastly experienced Engineer, recognized worldwide as a stalwart in the field of Aerial Ropeway transportation, established Conveyor & Ropeway Services Pvt Ltd in the year 1975, with a vision to provide a safe alternative transport. After completing B.Sc from Calcutta University, Mr. Chakravarty qualified as a Chartered Engineer from Institution of Engineers (India), Kolkata, and Institution of Mechanical Engineers (IMechE), England. Presently, he is the Fellow of both the Institutions, as also Vice Chairman of IMechE (FIMechE), Kolkata Branch. He is also a Member of International Organization for Transportation by Rope (OITAF). He began his career with Jessop & Co Ltd. He then joined Breco Ropeways Limited, London, in their Design Department and worked there for 5 years. He was then deputed by Breco as Resident Engineer in India, where he was responsible for installation and commissioning of one of the largest Sand Winning Plants in the world. He also worked as the Managing Director of Volga Engineering Company Pvt Ltd, Kolkata, from 1978 to 1996 and was the Partner at Indian Ropeway Engineering Company, Dhanbad. 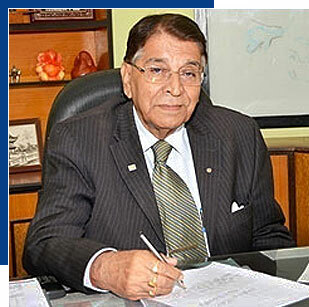 Under his leadership, CRSPL, which started off as a consultancy firm, has emerged today as a distinct forerunner in the field of aerial Ropeway in India with complete indigenous knowhow. In 2002, he became Chairman of Breco Ropeways Ltd., UK, taking over majority shareholding. His articles have been presented at national and international seminars and published across various newspapers of repute. Not just that, his articles was presented with great interest at various symposiums and events in France, USA, Spain, Thailand etc. He has two daughters and a son, who are all well settled. Even today, the octogenarian is associated with various social service projects and is a well known Rotarian. He loves watching sports and enjoys writing. Ms. Rachna Mukherjee a BA as well as an MBA in Finance has been an integral part of Conveyor & Ropeway Services Pvt Ltd from the early 90â€™s. However, even before this, she has had quite a stint at various positions to receive and enrich her work experience for a great future ahead. She received her management training from none other than one of the great banking institutions of the world, Citibank. 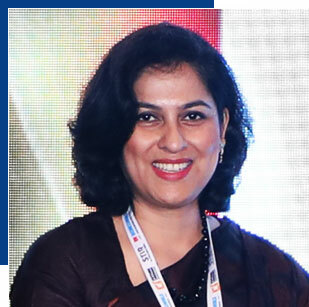 Following that she has served as a senior in-charge at a well known Computer Training Institute in Kolkata and later served at a Managerial position with Hutchison Telecom in Mumbai. Her dedication and devotion to her career has seen her rapidly move up the ladder of success and she has been amply rewarded by trust and acclaim wherever she has worked. She also has shown her desire to improve by lives of many other women in the society by becoming an active member of Inner Wheel Club. Through this she is able to inspire other women that success is all about attitude backed by the desire to achieve excellence. Today her quest for excellence, has positioned her as one of the Directors of Conveyor & Ropeway Services Pvt Ltd since 1999.